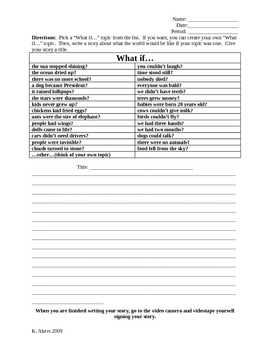 This differentiated writing activity contains 3 pages, each with a varying level of complexity. 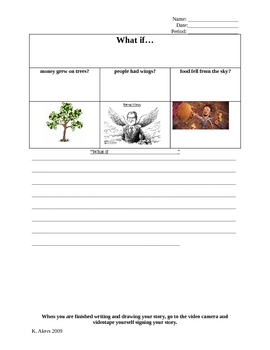 Students are given prompts such as "What if money grew trees?" 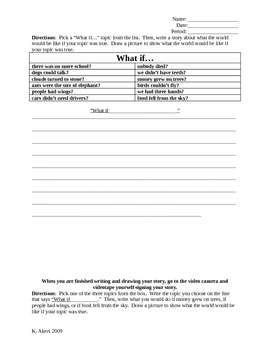 and asked to write or draw what life would be like if their topic was true.